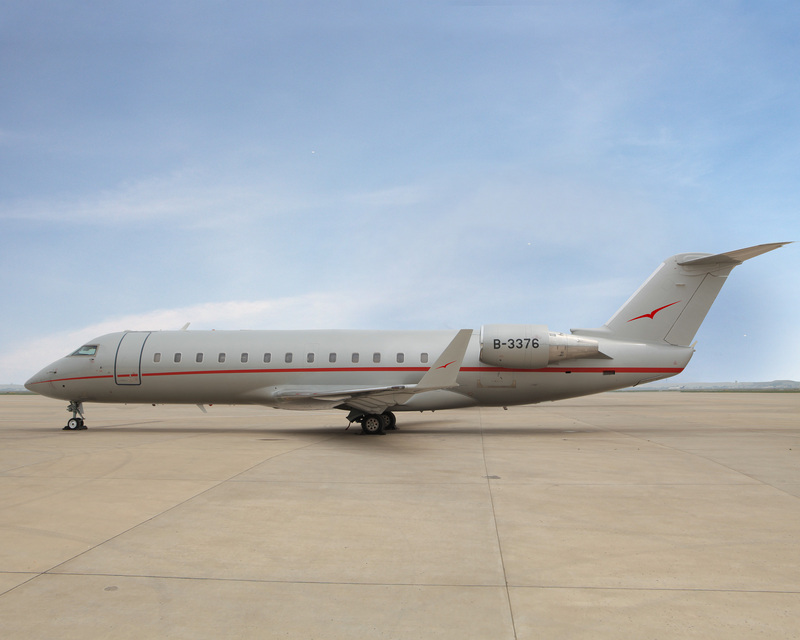 LONDON, UNITED KINGDOM--(Marketwired - June 18, 2015) - VistaJet, the global leader in premium long-range private jet travel, is one step closer to offering point-to-point service within China with the arrival of its first Chinese registered aircraft, a Bombardier1Challenger 8501. A second Chinese registered Challenger 850 aircraft will also arrive in country later this year. Service in China is scheduled to begin in July 2015 through a duly licensed air carrier. "This is a tremendous accomplishment for VistaJet; we've worked for many months to be ready for the arrival of the first Chinese registered aircraft. It is with great enthusiasm that we welcome this Challenger 850 jet to China and officially start the countdown to offering flights within the country," said Thomas Flohr, Founder and Chairman, VistaJet. "We are the first global aviation company to register large-cabin aircraft for operation in China. This is another market of exceptional potential for the company, where we firmly believe our customers will embrace VistaJet's premium quality service and unparalleled reliability." Founded in 2004 by Thomas Flohr, VistaJet has established itself as the global leader in premium long-range private jet travel by consistently providing excellent service and unrivalled quality to its fast growing clientele, connecting them to every corner of the world with point-to-point coverage. VistaJet operates a young fleet -- total fleet average age is under two years -- of 49 Bombardier1 Global1 and Challenger1 business aircraft and offers the industry's largest service area, covering all major markets. The Company's unique and successful business model provides all the benefits of owning a personal jet without the responsibilities or asset risk of ownership. Strong and resilient revenue growth, an expanding margin and a sophisticated fleet financing structure are among the drivers for VistaJet to consistently outperform the market in this high-growth segment of the private aviation industry. VistaJet aircraft have to date visited over 180 countries, landed at 1,320 airports worldwide, logged over 70,000 flights and carried over 165,000 passengers. News and information are available at www.vistajet.com. 1Either registered or unregistered trademarks of Bombardier Inc. or its subsidiaries.